I added Strix to the fleet for a couple of reasons – to take some pressure off Otus and to have a more modern motorcycle. What I did not expect was a headlight no brighter than Otus’ stock headlight. 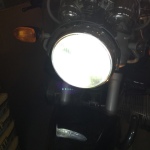 In fact, the first time I rode the bike after dark I was convinced the headlight didn’t work at all. I had to switch to high beam to see the road. When I pulled up in front of the garage I was surprised to see that low beam actually worked! 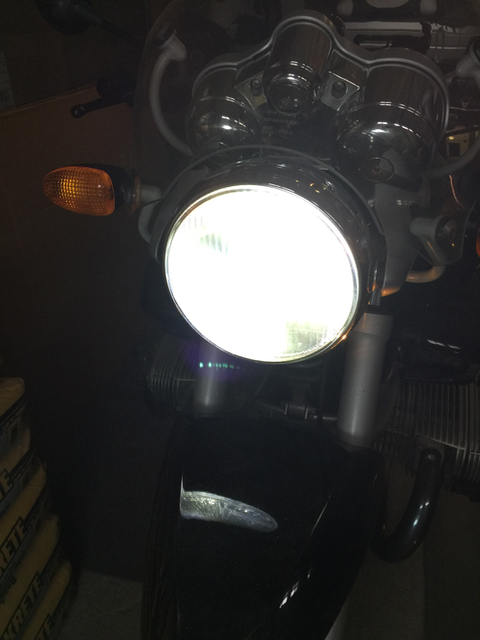 I didn’t occur to me that a motorcycle built in 2003 would use the same headlight bulb as a motorcycle built in 1977. 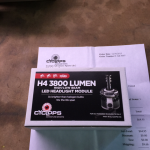 Yes – both bikes were shipped with a standard H4 headlight bulb. So what to do? 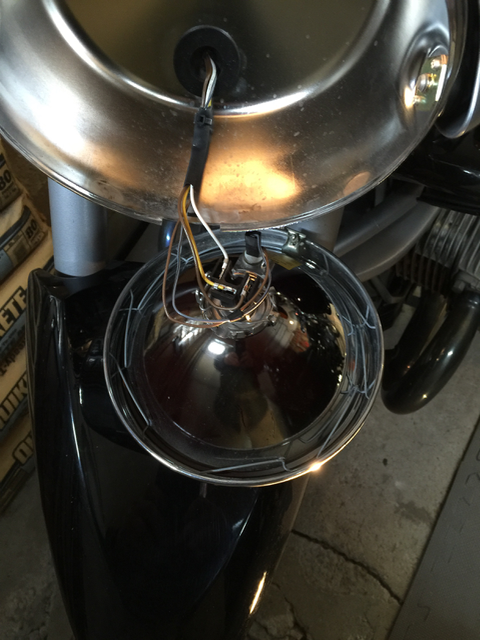 Install the same LED headlight I bought for Otus when I was in Billings this summer. 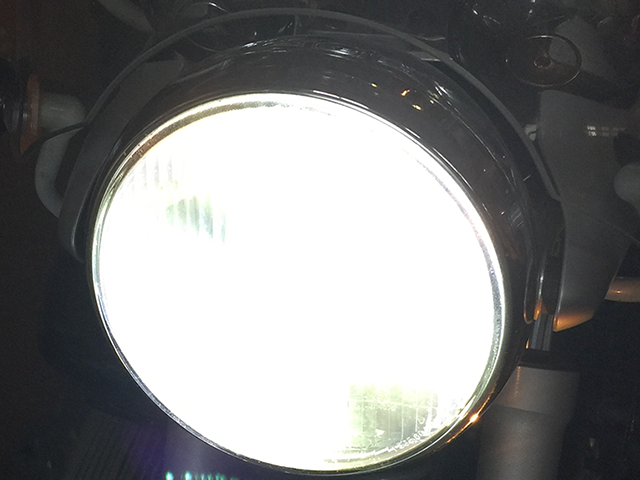 The stock headlight bulb in the 2003 and 1977 R bikes appears to be this 55/60W bulb. 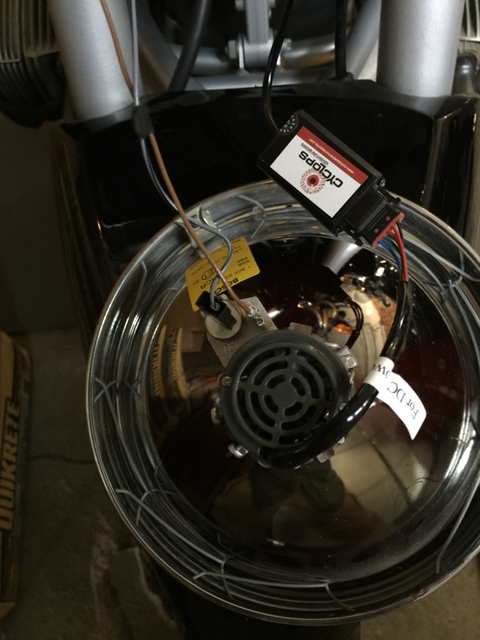 The bulb costs $6.00 and it performs like a $6.00 bulb. Because Strix is supposed to be the modern version of Otus, I decided that this bike also needs an LED headlight bulb. 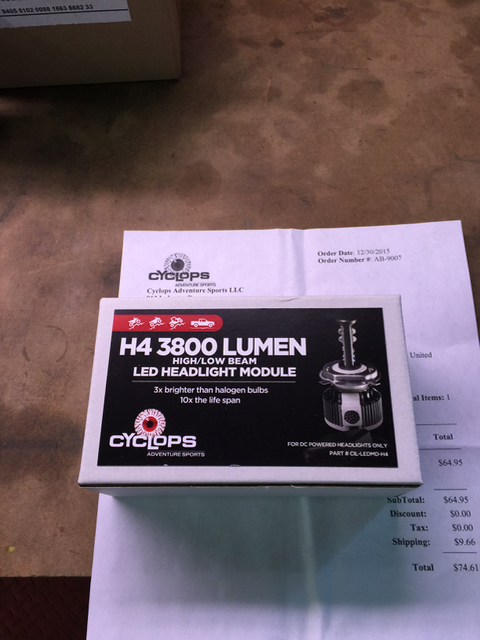 I ordered up the same one I bought in Billings during the annual BMW rally – a Cyclops 3800 Lumen LED headlight bulb. 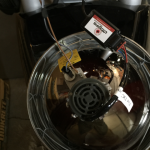 Installation was painless – one phillips head screw holds the lens ring in place. 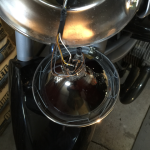 Remove the screw, pop the headlight bucket open, unplug and unclip the original bulb, clip in and plug in the new headlight bulb, close it back up and you’re done. Enjoy the pictures!